Quicklock: set per inserzione/estrazione rapida di microfoni su asta. Ogni set Quicklock contiene 2 tip per l'avvicendamento rapido di 2 differenti microfoni. 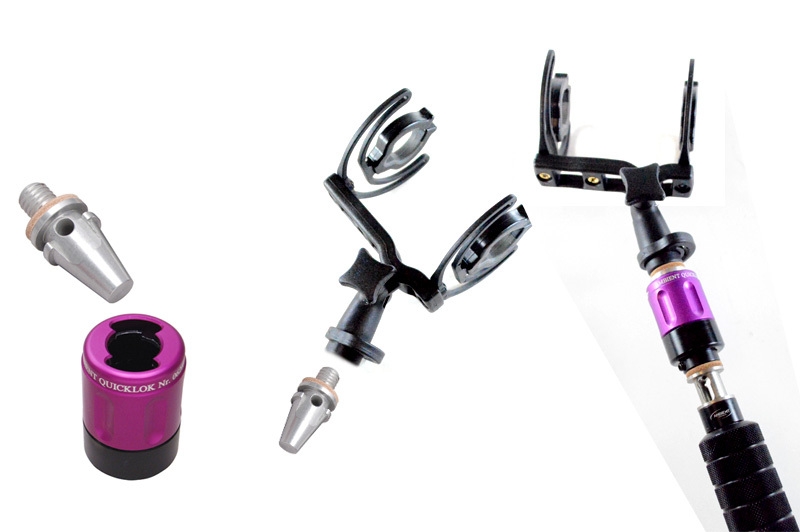 The Ambient "Quicklok" quick release tip for microphone assemblies is the first professional snap connection available which makes a rigid rattle free joint and has a self-locking and self-locating action. The unit is a robust, precision mechanical assembly. The mechanism can be described as a taperlock where a taper stub (screwed to the microphone assembly) is inserted into a tapered hole through a butterfly opening which is twisted until the stub fall into place. Removal is by twisting the outer sleeve. 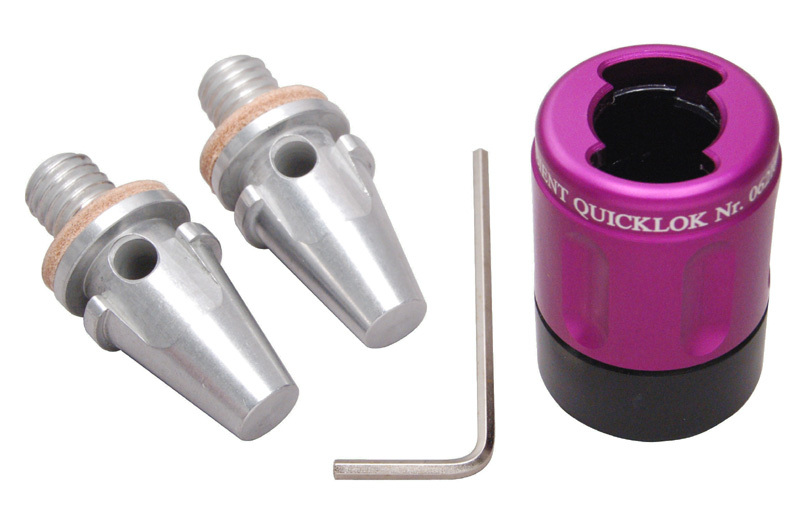 The Quicklok fits any 3/8" thread as encountered on all microphone booms.